Chevening Scholarships are offered by UK Government’s global scholarship program which is funded by foreign common wealth office and partner organizations. This inspiring program awards scholarship to the students of Pakistan with outstanding leadership potential. 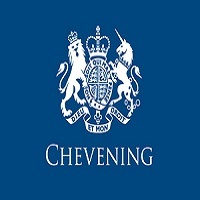 ILETS is required for the selection of Chevening scholarship. Master’s degree or a four year Bachelor’s degree from a recognized University of Pakistan is required. Two years working experience by 30 September 2015 is required. Must be ambitious, with leadership skills who is committed to the betterment of their society. We are looking for ambitious and academically strong professionals who have displayed leadership potential. If this is you, then start your Chevening application. Applications will close at midday (GMT) on 3 November 2015, so apply now; it could be the best decision you ever make. This program provide funding for one-year Master’s degree, in a range of different subjects, at any university in UK. They also contribute towards living expenses and return flights to UK.